Check here for the latest revisions and updates to this website. October 19, 2010 -- Posted a new "Quote for the Week" on the home page, and included updates on the "What's New" page. September 21, 2010 -- ALL NEW CONTESTS posted on the "Contests" page. And yes, it's about time. September 11, 2010 -- A special home page posted in the memory of Americans killed in the terror attacks on Sept. 11, 2001. May God bless America. May 16, 2010 -- Congratulations, Graduates! A new "Quote for the Week" posted for all of us graduating this month. Wahoo! April 17, 2010 -- I'd like to mention two more great people I met at the conference: Author, editor, speaker and book doctor Kathy Carlton Willis and of course, our hilarious conference director Twila Belk ("Go Forth and Multiply!"). SITE UPDATE: I added a count-down script for graduation on the Home page and a pop-up announcement on the Contests page. Graduation is just 28 days away today! April 11, 2010 -- Enjoyed a great two days at the Quad-Cities Christian Writers Conference, where I met Jim Rubart and Tim Shoemaker. Great guys, great teachers! Also, I posted for your reading pleasure the NEW "Quote for the Week," and updated the link to the Simply Agape Project music CD, Somebody Brave, produced by Timothy Wirth. April 9, 2010 -- After a verrrrr-r-r-ry long winter, I finally (finally!) updated the home page to reflect a more Spring-like effervescence, presence, er, some sort of sense. To my long-term visitors, new friends, and curious onlookers--I am finally (finally!) in my final semester at the University of Iowa. The countdown has begun. I graduate with my Master's degree in English Literary Studies on May 15th, 2010. At that point in time, I will be a free woman, commander of my free time, able to return to regular updates of the "Contests Column" and freelance writing. Let's all say, "It's about time!" Thank you very much for your longsuffering patience. December 5, 2009 -- Added a Merry Christmas message, winter background, falling snowflakes, holiday music, and posted a new "Quote for the Week" along with new music on the home page. Merry Christmas! October 3, 2009 -- Posted a new "Quote for the Week" along with new music on the home page. Also updated links on the home page in the "Where Do You Want To Go?" section (a sort of site map). September 20, 2009 -- Posted a new "Quote for the Week." Note: I am in my second year in the MA English program at the University of Iowa taking the following four courses this semester: "Form of Fiction" with Pulitzer-prize winning author Dr. Marilynne Robinson (click on her photo), "Nonfiction Readings: The Literary Market and Writing Trends" with widely-published author and professor Robin Hemley, "Readings in Native American Literature" with Dr. Linda Bolton (former Ph.D. student of N. Scott Momaday), and "Intro to Contemporary Literary Theory" with Dr. Lori Branch. (See my name on the incoming graduate students list here, and scroll down to find my name). September 11, 2009 -- Posted a special home page in remembrance of the heroes and American victims who died on 9/11/01. August 5, 2009 -- Posted a new "Quote for the Week." ALSO, check out the NEW UPDATES on the "Contests" page. My first summer break without classes in four years! My family and I have kept busy with home improvement projects, decluttering, repainting, updating. I have also ventured into auto repairs and body work (check out these photos at my Facebook page. Summer 2009 -- Playing with social network sites Twitter, Facebook, and LinkedIn, along with my blogs. June 24, 2009 -- ALL NEW UPDATES on the "Contests" page. Enjoy! April 26, 2009 -- Posted a new "Quote for the Week" in preparation for the National Day of Prayer coming up on May 7, 2009. April 12, 2009 -- Happy Easter! Posted a new "Quote for Easter." March 9, 2009 -- Posted a new "Quote for the Month." February 27, 2009 -- Included a link on the home page to the Iowa Scribes, the professional writers' critique group I founded and have served as chair since 2002. February 26, 2009 -- Posted a new "Quote for the Week." My apologies for the delay in updating the contests page--my graduate classes this semester and working part-time on a professor's literature Website and other freelance invitations (which support my family and educational pursuits), takes much of my attention. I have gathered a lot of new information and will try to compile and post it by the end of next week. Thank you for your patience. January 1, 2009 -- Posted a new "Quote for the Week" and new music, "Lord of the Rings Medley." Check back by the end of this week for the all-new updates on the "Contests" page. 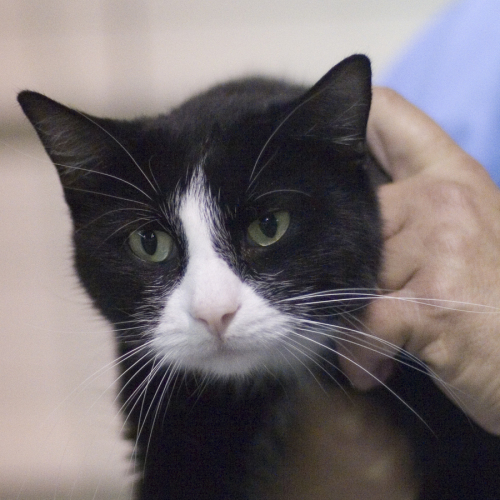 December 26, 2008 -- We adopted two cats from the local animal shelter, a beautiful calico female named "Jamilla" and a gorgeous tuxedo cat (who looks like Moses) named "Syd." We're playing with possible new names but among the four of us we can't agree, so for now, we refer to them by their shelter names. We're so glad to be able to offer these lonely strays a home full of love - click here to view them at our house. You can find a forever friend, too, at PetFinder.com. December 14, 2008 -- Posted a new "Quote for the Week" and new music, a "Christmas Medley." Check back by the end of this month for the all-new updates on the "Contests" page. December 12, 2008 -- Very sad news for my family. 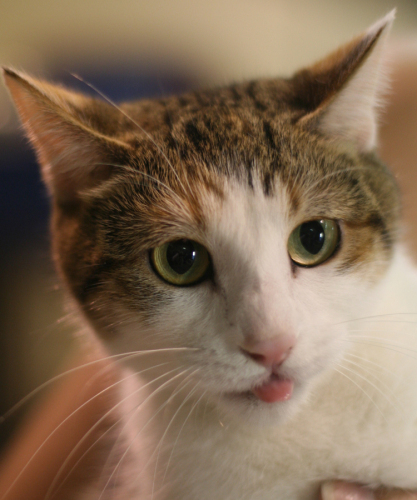 We learned during exploratory surgery that our beloved cat, Moses, had cancer--he just turned 9 and was in the prime of his life--but after he'd become anorexic and exhibited increasing illness, we decided to find out what was causing it. The doctor found tumors on his stomach, liver and spleen. He was euthanized after surgery at about 12:30pm. We're going to miss Moses very, very much. 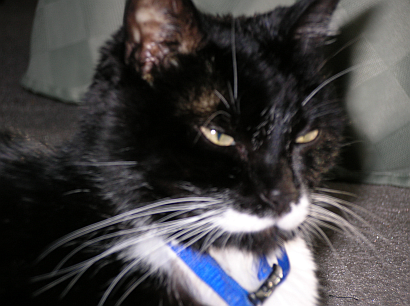 Moses (October 1999 - December 12, 2008). November 29, 2008 -- Received a letter announcing that my essay, "A Treasured Gift," was chosen as a "101 Best Stories" which appears in Chicken Soup for the Soul: Great and Grand (released September 30, 2008). Updated my "Author's Bio." November 23, 2008 -- Happy Thanksgiving! Posted a new "Quote for the Week." November 11, 2008 -- Posted a new "Quote for the Week." November 3, 2008 -- Enjoy the new "Quote for the Week." October 27, 2008 -- I joined Twitter, the microblogging social site. I am finding many old writer friends and making new ones. This is GREAT practice for writing a main thought in less than 140 words! Read my entries here. If you're curious how an author and grad student spends her day, jump in and follow me. It's better than instant messaging. I'd love to see you there! October 4, 2008 -- Posted a page to the "Iowa Scribes," the local writers' group I founded in 2002. October 2, 2008 -- Major updates to my "Author's Bio" to create a navigation table for its various sections and to bring it current. October 1-2, 2008 -- It's finally here! ALL NEW CONTESTS for your perusal. Just what you've been waiting for! June 25, 2008 -- Flooding in Iowa devastated the eastern side of the state. I live in a community next to Cedar Rapids and began documenting details and posting photos online. I'd love to hear from you, so drop me a line. May 17, 2008 -- Graduation Day! I graduated with "Honors in English" and "High Distinction in Journalism and Mass Communication" from the University of Iowa's College of Liberal Arts and Sciences during the morning ceremony held at the Carver Hawkeye Arena in Iowa City, Iowa. Only took me, what, 29 years? Wahoo! May 2, 2008 -- During a reception at the University of Iowa's "Hall of Fame," I was inducted into Kappa Tau Alpha, the national honor society for collegiate journalism students, awarded for academic excellence and journalistic achievement. April 25, 2008 -- A busy day--I attended the English Department's annual "Honors Reception" for students completing an Honors Thesis, where I received a lovely hard-board calligraphy certificate for work on my project. Then I attended the University of Iowa School of Journalism and Mass Communication's annual "Fourth Estate Banquet," where I was awarded two additional scholarships. I am very grateful for the confidence and support of my university! April 20, 2008 -- Enjoy the new "Quote for the Week." March 31, 2008 -- Enjoy the new "Quote for the Week." For my faithful visitors, a quick note: I am nearing graduation at the University of Iowa in May, just weeks away now. Thanks for your patience as I wrap up my dual-major in journalism and English. The contests pages will be back up and running by the end of June or sooner. Be sure to visit my blogs and post your comments. Thanks! February 29, 2008 -- Enjoy the new music on the home page and the "Quote for the Week." You can also see new posts and free tips on my news and financial blogs: FinancialHouse.blogspot.com and MyNewsMuse.blogspot.com. This semester, I am enrolled in four classes plus an honors thesis (16 semester hour credits). This includes working on the Iowa Journalist as Web designer/Webmaster and on several teams as a reporter, copy editor, and photographer. Additionally, I just learned that the University of Iowa awarded me a research grant to work with English professor Florence Boos on her extensive literature project, the Morris Online Edition. I updated my "Author's Bio" with more news and updated links, for those interested. Thanks for your patience. The bimonthly column and regular contest updates will be possible after graduation, May 2008. If you have questions in the meantime, feel free to contact me and I'll try to help. This is a temporary hiatus as I finish these final two semesters, so be sure to check back for news and to learn when the next major update will be uploaded. Thanks! August 2007 -- My father had a stroke and my mother-in-law went to the hospital, so we spent a few weeks in the Seattle area to be with family. I'm thankful to report that my father is doing much better than his doctors and physical therapist expected, and my mother-in-law is doing well. June 1, 2007 -- Enjoy the new "Quote for the Week." I completed Spring semester at the University of Iowa (whew! ), and was honored to receive the "Harry S. Bunker Memorial Scholarship" during the Fourth Estate Banquet hosted by the Journalism and Mass Communication department. Just three more semesters to go! I start classes again next week. (Sleep? What's that?) For Summer semester, I registered to study "Shakespeare," "Literature and Culture of 17th Century England," and am also considering "Media Workshop: TV News Features." April 4, 2007 -- Enjoy the new "Quote for the Week." I am continuing my fulltime education at the University of Iowa in a double major in journalism and English. I apologize for the lack of updates--I've been swamped with several in-depth research and reporting assignments. Feburary 3, 2007 -- Byline Magazine was sold to a new publisher/editor/owner in New York, so I updated the address for contest entries on the CONTESTS page. More contests are coming, so be sure to check back! January 27, 2007 -- Enjoy the ALL NEW CONTESTS! I am continuing my fulltime education at the University of Iowa in both journalism and English. This semester I am taking "Classical & Biblical Literature," "Magazine Writing & Reporting," "Editing," and "French I." January 12, 2007 -- Grab a favorite hot beverage and browse the new "Quotes and Excerpts" from celebrated writers including Flannery O'Conner, F. Scott Fitzgerald, and more! During your visit, enjoy the new "Quote for the Week" and new music on the welcome page. You're welcome to join the discussions! I also added an ICON for the home page of "The Write Place." Please re-bookmark the site and the icon will appear in your favorites folder. And please enjoy the NEW "Quote of the Week" right here on www.KIMN.net. December 3, 2006 -- The Thanksgiving leftovers are gone and the weather's turning colder. Christmas is coming. See the NEW project on ventriloquism site I created for an online journalism class. My sidekick RONNIE SMITH is now on YouTube! And enjoy the NEW "Quote for the Week" right here on www.KIMN.net. November 12, 2006 -- Writers' Digest notified me that my article on Dr. Ponseti was in the top 100 for "Features" in the annual Writing Competition (out of 19,000 entries this year, I placed in the top 1,000--yay!). October 28, 2006 -- Another loss, Frances Bergen died on Oct. 2, 2006 in Los Angeles. She was wife of famous ventriloquist, Edgar Bergen, and mother to Candice Bergen. See the "Quote for the Week.". 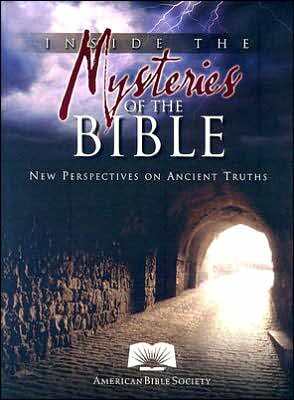 October 10, 2006 -- Release of Inside the Mysteries of the Bible, a Time Inc. project that includes my articles, "The Flood" and "Up From the Dead" (see my updated bio). September 5, 2006 -- As news spreads of the sudden and tragic death of Steve Irwin over the weekend, let's reflect on his larger-than-life personality and conservation efforts while reading the "Quote for the Week." You might also check out the list of ALL NEW CONTESTS. July 7, 2006 -- Enjoy the ALL NEW CONTESTS along with a new "Quote for the Week." June 14, 2006 -- Enjoy the new "Quote for the Week" honoring fathers, and new music on the welcome page. Check out the updated "STUDENT (young writers)" page, too! I also updated the "Author's Bio" page. Enjoy. May 30, 2006 -- Whoa, my apologies! I updated the CONTESTS page but forgot to transfer the files to the Internet on May 5th so visitors could access the list. The page is now available for your enjoyment. In addition, enjoy the new "Quote for the Week" in honor of all our brave VETERANS, all those who have served and are currently serving, on this MEMORIAL DAY. April 30, 2006 -- ALL NEW CONTESTS for your perusal. The bimonthly column "From My Heart" is coming soon! April 16, 2006 -- Happy Easter! Enjoy the new "Quote for the Week." April 3, 2006 -- Enjoy the new "Quote for the Week." March 9, 2006 -- Happy Anniversary, Russ, my dear husband! And dear visitors, enjoy the new "Quote for the Week". March 5, 2006 -- ALL NEW CONTESTS! Click here and pick one to work on this quarter. February 19, 2006 -- Enjoy the new "Quote for the Week." February 7, 2006 -- Enjoy the new "Quote for the Week," honoring Coretta Scott King. February 6, 2006 -- An astute visitor alerted me to a problem with the link to the "Ongoing Contests" page, so it's fixed and running tonight. Thanks for your feedback! January 12, 2006 -- Enjoy the new "Quote for the Week" celebrating the wisdom in the series (and NEW movie), "The Narnia Chronicles." January 3, 2006 -- I love the holidays, but I hate coming down sick. The upside of illness, however, is all the work I get done on my laptop. Check out the REDESIGN of the "Contests" page and the NEW dedicated location for my bimonthly column, "From My Heart." Later, check back to see the updates I'm compiling for the "Students & Young Writers" page. Enjoy! January 2, 2006 -- HAPPY NEW YEAR! Need inspiration to kick-start your writing this year? Check out the amazing array of NEW CONTESTS appearing on the "Contests" page. December 30, 2005 -- New excerpts, character descriptions, and good writing appear in "Quotes & Excerpts" section. Selections include F. Scott Fitzgerald, Flannery O'Connor, John Steinbeck, John Updike, Willa Cather, William Faulkner, Edgar Allan Poe, and more. December 26, 2005 -- As you reflect on the past year and consider New Year's resolutions, tell someone you love them. Enjoy the new "Quote for the Week." You can also read excerpts from the book I wrote with David and Debbie Bragonier, GETTING YOUR FINANCIAL HOUSE IN ORDER. Click here to the introduction and first chapter online, and view the table of contents. Click here to take the "Finance Quiz." Click here to read the forward by Howard Dayton, CEO of Crown Financial Ministries. Click here to read a few independent reviews. Enjoy! December 20, 2005 -- Merry Christmas! Enjoy the new "Quote for the Week" as we celebrate the birth of Jesus Christ, the Son of God and Savior of the World. November 23, 2005 -- Happy Thanksgiving! Enjoy the new "Quote for the Week" by Plutarch. November 15, 2005 -- I moved my ventriloquism page after I discovered a corporation had hot-linked to that page on my server, stealing bandwidth and posting copyrighted materials without permission. November 15, 2005 -- I removed all references to the Mid-Western Christian Book Fair from my website (except here), due to questionable activities by the owners/organizers. I've been concerned for quite some time, but have become increasingly aware of the potential for harm to other writers if I don't take a stand. Please be very cautious in dealing with this group. November 12, 2005 -- Enjoy the new "Quote for the Week" by F. Scott Fitzgerald. November 2, 2005 -- Updates and improvements made on the "Ventriloquism for the Curious" page. Enjoy! September 25, 2005 -- Enjoy the new "Quote for the Week" by homeschooled student, and now New York Times bestselling author, Christopher Paolini! September 19, 2005 -- NEW CONTESTS! More to come. Enjoy your visit, and KEEP WRITING! September 19, 2005 -- Enjoy the new "Quote for the Week." I am also currently compiling new contests for the Contests Page, so please check back tonight. September 11, 2005 -- In honor of our fellow Americans who struggled for their lives and for those who worked to save others on 9/11/01, I posted a special page in remembrance. May 23, 2005 -- Note to visitors to The Write Place: I have returned to college to obtain my BA in Journalism, minoring in Communications with an interest in Education, and my MA in Creative Writing. During these coming months, I'll be immersed in classes and assignments. Meanwhile, I continue to homeschool my sons and maintain my writing connections as co-founder and leader of the Cedar Rapids Christian Writers' Group, and as webmaster for the Iowa chapter of the Society of Children's Book Writers and Illustrators (www.SCBWI-Iowa.org). I will not be able to update the Contests page this summer, but will return in the Fall with updates to encourage your pursuit of writing. Be sure to check back! Thanks. May 5, 2005 -- It's "Teacher Appreciation Week." Enjoy the new "Quote for the Week." 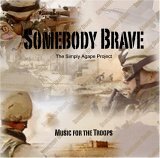 April 30, 2005 -- I posted a link to percussionist and producer Tim Wirth's CD, "Somebody Brave." Tim's vision is to get this CD with uplifting music into the hands of as many of our soldiers serving the U.S. as we can. I get nothing for promoting this project, I simply believe in it. Click on the CD cover for more information and to hear a sample. Thanks! April 27, 2005 -- As a result of my five years teaching writing classes in the local school district, I've compiled a list of "PUBLISHERS INTERESTED IN YOUNG WRITERS & ARTISTS" - find out where YOU (or your STUDENTS) can get published! Another great resource offered by Kimn Swenson Gollnick at "The Write Place." April 26, 2005 -- ALL NEW CONTESTS NOW ONLINE! Also announcing a NEW feature, a "Student & Young Writers Contests" page. More to come. Enjoy your visit. April 25, 2005 -- Enjoy the new "Quote for the Week." Note: I am down with tonsillitis (shades of fourth grade! ), but I am nearly finished compiling new CONTESTS and writing my column, which I'll post later today or tomorrow. I am also wrapping up teaching a four-week session of classes on "How to Get Published" for 7th-9th grade students enrolled in the Marion Home School Assistance Program. Fun! April 17, 2005 -- It's National Reading week! Enjoy the new "Quote for the Week." April 12, 2005 -- Enjoy the new "Quote for the Week." I am also currently researching new contests for the Contests Page, so please check back by next Monday! March 24, 2005 -- Placed photos and links related to the controversy swirling around Terri Schindler Schiavo's case on the "Welcome" page. March 22, 2005 -- Posted a new "Quote for the Week." March 14, 2005 -- Enjoy the new "Quote for the Week." March 11, 2005 -- Two news items warranted posting on the welcome page of "The Write Place"; this week's eruption of Mount St. Helens and William Shatner's invasion of Iowa. Check 'em out! March 4, 2005 -- I posted a new "Quote for the Week", and new excerpts, first lines, and character descriptions from books I'm reading including the national bestseller The Time Traveler's Wife by Audrey Niffendegger. I updated lots of info appearing on the "Author's Bio" page. Also, the personal page is back online after minor updates. Teaching news: I am wrapping up a four-week session on "Unique Sources of Writing Inspiration" for 7th-9th grade students in the local homeschool assistance program. January 22, 2005 -- Happy New Year! Enjoy the new "Quote for the Week" and updated "Contests" page. Also, due to a security concern for my children after a son posted info on a bulletin board, I removed the "Personal Page" temporarily. Check here first to see the most recent "What's NEW" updates at this website.